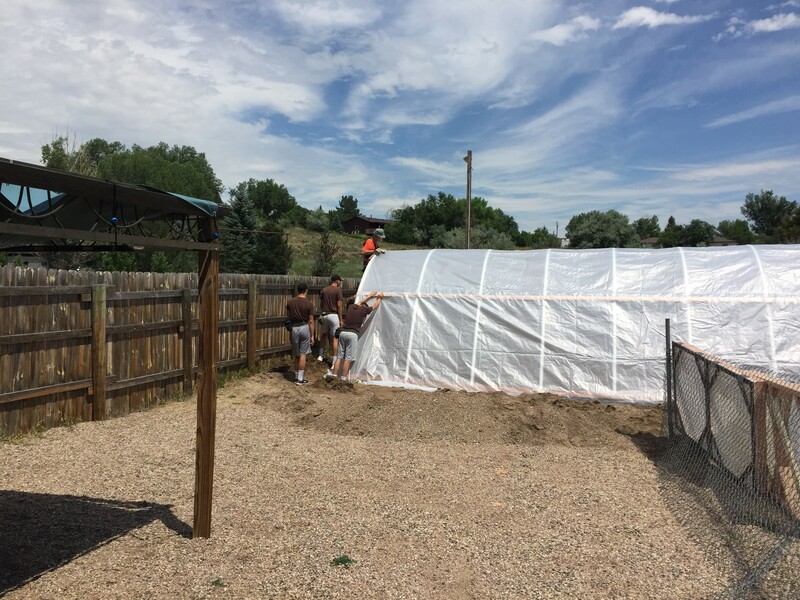 The University of Wyoming Extension (UWE) office in Platte County and the Sustainable Agriculture Research and Extension Center (SAREC) hosted a Hoop House Workshop July 16-19 in Wheatland. The goal of the workshop was to build two hoop houses, which will be used to increase access to fresh produce for families and individuals with limited resources in Platte County. Hoop houses are framed structures covered in plastic heated by solar power that lengthen the growing season. SAREC donated the hoop houses for this workshop, which was coordinated by Mary Evans, Cent$ible Nutrition Program Educator and Julie Balzan, Nutrition and Food Safety (NFS) Extension Educator, both in Platte County. The hoop houses were built at Kids Kastle Daycare and First Christian Church Community Garden. Normally, constructing hoop houses of this size takes two days per house. 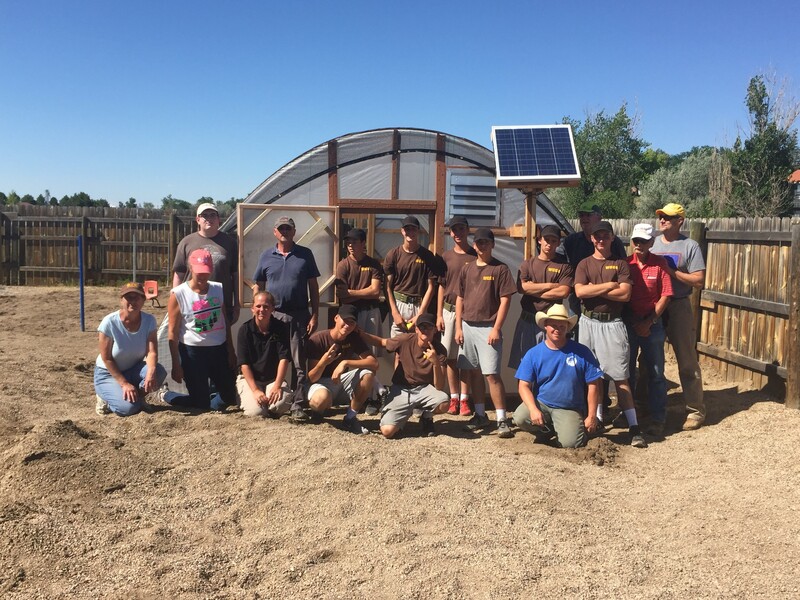 During this workshop, each hoop house was constructed in 11 hours, a feat accomplished with the help of the Challenge Academy Cadets Bravo Class 37; Ted Craig from the Wyoming Department of Agriculture, Specialty Crops; Leroy Jons, Horticulturalist with Platte County Extension; Balzan; and Evans. Evans approached SAREC about building hoop houses as part of a statewide effort by CNP to increase access to local food for families and individuals with limited resources. CNP is a USDA program funded by the Supplemental Nutrition Education Program Education and aims to make the healthy choice the easy choice for everyone in Wyoming’s communities. CNP provides nutrition education to those who income qualify and partners with organizations and agencies across the state to make changes for healthier communities. Evans, Balzan and Jons, in collaboration with the UWE Master Gardeners of Platte County, plan to plant in the hoop houses this summer. The fall harvest will be donated to the Platte County Food Bank and used in the Totes for Hope Program food bags for youth at risk of hunger.